Sadly , physics of digital sensors say this isn’t workable. Your camera’s sensor has a fixed sensitivity to light – which can’t be changed – higher ISO settings are created by amplifying , through analog (or at very high and very low settings digitally) the signal coming from that sensor. The sensor itself has a “native” ISO and inherent sensitivity depending on the design of the sensor itself . This varies depending on camera but usually is ISO 100 , with some older Nikon designs such as those in the D3 , D700 and D300s generation having a ISO 200 base , and the newer D850 having a base ISO of 64. Also , digital sensors can only capture so many photons , so if we were to create lower ISO modes by “dividing” the signal the point of saturation itself would not be lowered. So if a sensor has what’s known as a full well capacity of 10,000 electrons then lowering the ISO would not mean the sensor can capture more electrons. It does change how the camera amplifies the signal from the sensor into digital numbers , data which is stored within RAW files corresponding to brightness level of a pixed .This means you’d end up losing dynamic range , as you use a longer exposure to compensate for the fact that shadows get pushed down by the deamplification . However this also means you’d push up pushing more of the highlights towards , and over that full well capacity point of the sensor. 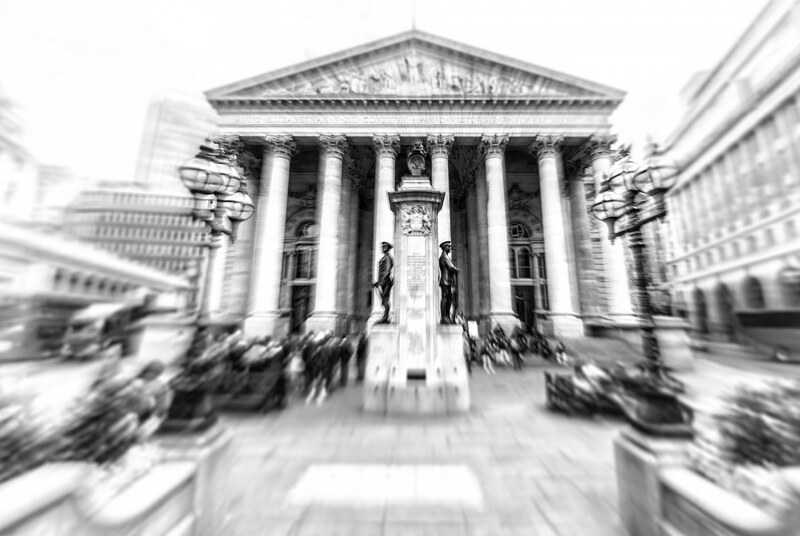 Practically I tend to steer well clear of Lo ISOs but at a push , where highlight clipping is tolerable it can be workable such as the image I made above outside of the Bank of England – where I needed a slow shutter speed and the sky detail was not important to preserve and keep relevant. Since posting I’ve been reminded of the possibility of using neutral density filters which attach to a lens and transmit through the lens a small fraction of light which hit the filter , allowing for longer exposure times in particular without saturating the sensor which can be useful when these are needed. class="post-template-default single single-post postid-3586 single-format-standard samba_theme samba_left_nav samba_left_align samba_responsive woocommerce-no-js wpb-js-composer js-comp-ver-5.6 vc_responsive"